Coach Tim Miles offered a scholarship to 2021 Millard North wing Hunter Sallis on Saturday afternoon, making him the second in-state player in the 2021 class with an offer from Nebraska. Sallis is a 6-foot-3, 145-pound guard with tremendous length (6-foot-5.5 wingspan) and good scoring instincts. As a freshman, Sallis averaged 4.3 points and 1.2 steals while shooting 52.7 percent from the field including 6-of-14 (42.9 percent) from 3 in just under 13 minutes per game for a veteran-laden Mustangs team. Sallis played with the Omaha Sports Academy Crusaders during the spring and summer and turned some heads including that of Rivals analyst Corey Evans. Sallis picked up his first offer from Drake on April 30. New Drake head Coach Darian DeVries’ son Tucker played with Sallis for OSA this summer. An offer from Ole Miss followed on August 1. Sallis visited Creighton on Aug. 29 and received his third offer from the Jays. Preston Murphy Jr., the son of Creighton assistant Preston Murphy, was another of Sallis’ teammates with OSA. Last Saturday, Sallis took an unofficial visit to Iowa State and the Cyclones offered as well. Now Nebraska jumps into the race for Sallis’ services. Far from a finished product, schools have been sold on his immense upside. The son of Nebraska High School Hall of Fame inductee and former San Diego State standout Jessica Haynes, Sallis is not done growing and could easily get to 6-foot-6 or 6-foot-7, making him a terrific prospect on the wing for the future. He can score at all three levels and is disruptive defensively because of his length. 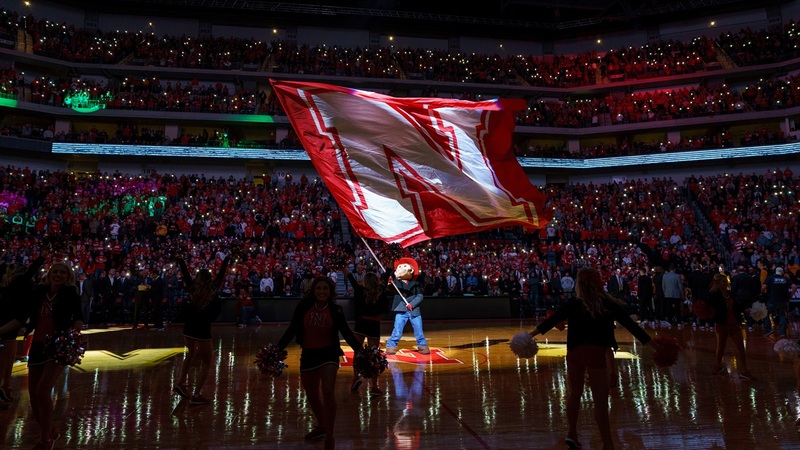 Sallis is very familiar with the other 2021 in-state player Nebraska has offered as he played alongside Bellevue West point guard Chucky Hepburn for Nebraska Hoops Elite up until this past AAU season. Hepburn took an unofficial visit last Saturday, participating in Nebraska’s elite camp and checking out the atmosphere prior to the canceled football game. Along with Sallis, Nebraska hosted 2019 Omaha Creighton Prep wing Akol Arop, 2020 Lincoln North Star guard Donovan Williams and 2020 Jefferson (Indiana) guard Tre Coleman for unofficial visits. All three hold offers from Nebraska and Williams has already committed to the Huskers. A Dynamic Backcourt Already Brewing at Nebraska?